Who doesn’t love coffee? And Starbucks! If you have an awesome teacher who you want to show your appreciation to, I have the perfect gift for them. 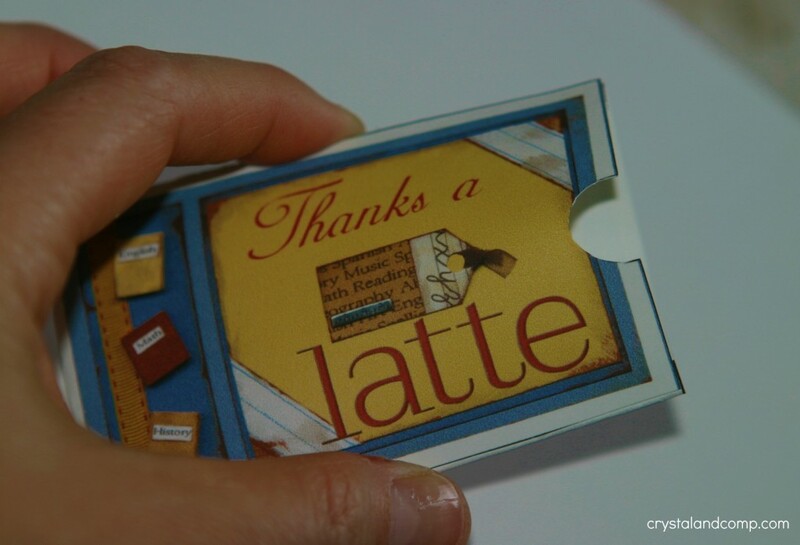 If you want to show your gratitude every day during Teacher Appreciation Week check out my list of awesome teacher appreciation gifts that are budget friendly and the perfect way to say thanks! I am so excited to share all of these easy and inexpensive teacher appreciation gift ideas with you! Remember, Teacher Appreciation Week this year is May 7th-11th, but these gifts can be given at any time. What teacher does not love a free trip to their favorite coffee spot? 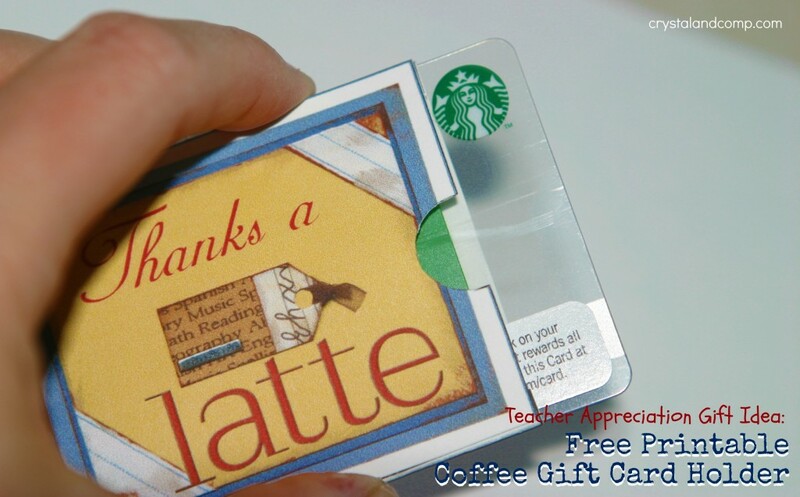 And, right now Starbucks has a super cute gift card just for teachers. 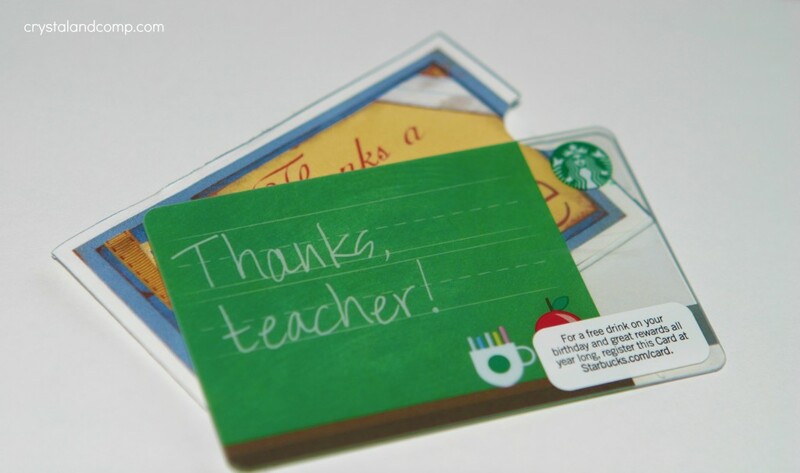 Add $5 to each card and you can give these gifts of gratitude to every teacher in your life. Print out a sheet of the free printables. Each sheet will give you four gift card holders. 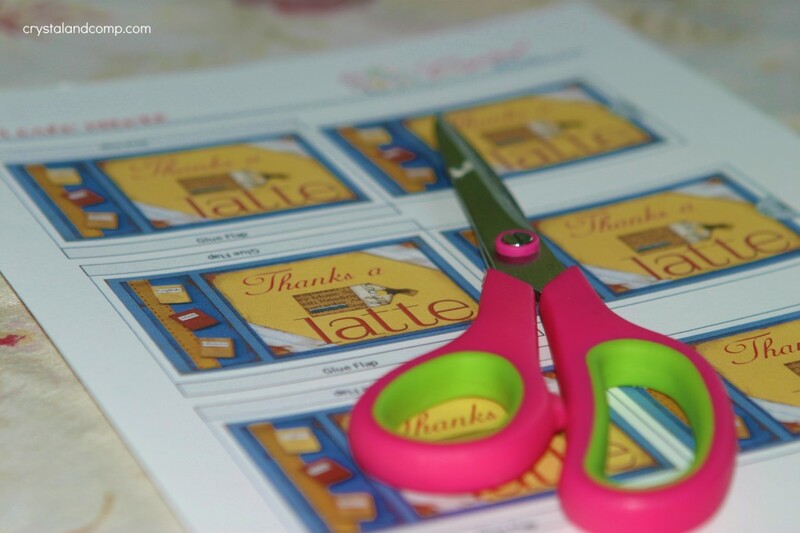 Love my printables? Kelli from 3 Boys and a Dog makes all of my printables. If you want her to make you something super special for your favorite teacher, or any occasion, her prices are super cheap and her turn around is so fast! Cut the card holders out. 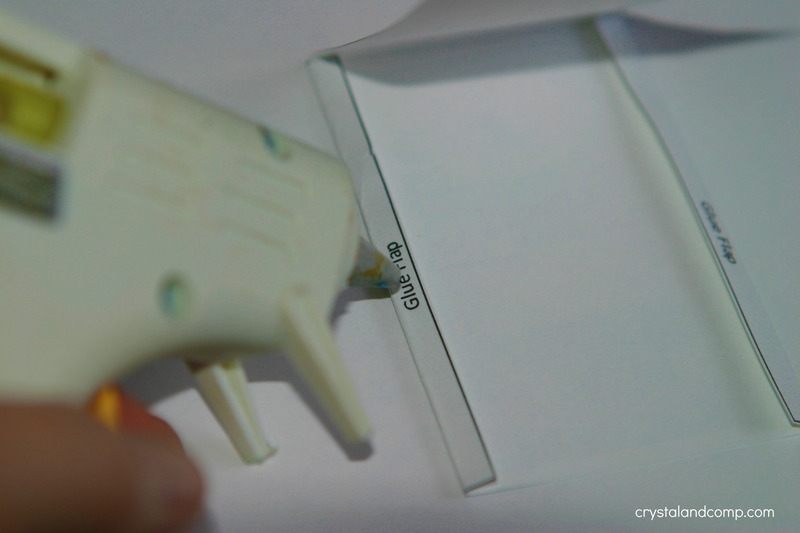 Make sure you cut around the glue flaps and cut out that half circle as indicated. Fold on the fold lines. Your gift card holder should now take shape. Add your gift card and you have an awesome gift. The gift card slides in and out of the card holder easily. What a fun and easy gift! For more teacher appreciation gift ideas, check out my collection. Awesome Melissa. So glad you can use it! Great idea. Both my parents are teachers and I know that they really appreciate gift cards.